Country music channel Keep It Country has ramped up its Freeview coverage, but viewers in Wales have lost out. From today, the channel is available to more viewers on Freeview channel 87 following a multiplex change. Keep It Country features new and old country music, including a large proportion of content from Ireland. It is one of two country music channels now operating in the UK. Whereas previously, UK coverage was limited geographically and required viewers to have a newer Freeview device, the channel's new slot enables it to reach a wider audience via both newer and older Freeview devices and through providers that piggyback off the Freeview signal, including YouView and EE TV. Viewers in England, Scotland and Northern Ireland who could previously receive Keep It Country on channel 87, but who have lost it should retune. Other viewers should retune to add the channel to their line-up. Keep It Country fans watching online or via satellite are unaffected by these changes. However, a516digital reception reports confirm Keep It Country isn't being broadcast from transmitters in Wales, so viewers in NE Wales and the Cardiff and Newport area who could previously receive Keep It Country on its old multiplex frequency via transmitters at Wenvoe and Moel-Y-Parc may not be able to continue watching, unless they can receive an overlapping Freeview signal from England. 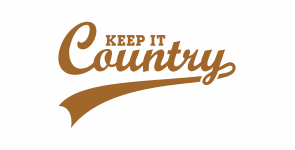 Keep It Country can also be received in Wales via Sky, Freesat and webstream. Keep It Country claimed in a website statement last week that the move would enable it to reach "over 90% of the UK", which it falls short of by not being available in Wales. While the main public service broadcaster channels can reach 98.5% of the UK via Freeview, non-public service broadcasters such as Keep It Country have access to commercial multiplexes that reach a maximum of around of 91% of the UK or around 19 million homes, combining total coverage in England, Wales, Northern Ireland and Scotland. Without Wales, the figure falls below 90%. The channel has taken the "not in Wales" bandwidth previously used by True Entertainment until earlier this month, when it moved multiplexes. Why is this channel not available in Wales? There is one Freeview slot that excludes Wales because of the knock-on effect of having to add S4C to the service in Wales. This follows technical changes made 10 years ago during digital switchover, in order to give S4C the same level of coverage it got as an analogue channel. S4C takes the bandwidth E4 uses elsewhere in the UK; as a result E4 operates on commercial multiplex capacity in Wales, with lower coverage. That chunk of bandwidth used by E4 in Wales is in turn now used elsewhere in the UK by Keep It Country.